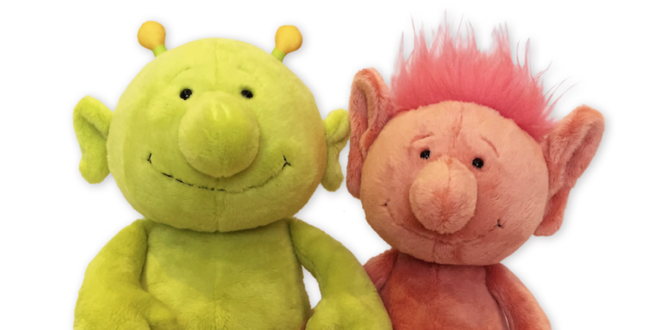 WDR has signed deals for new Q Pootle 5 toys that will be shown at Nuremberg Toy Fair in February. Manufacturers NICI and Bullyland will be presenting Q Pootle 5 plushes, toy figures and sets, cups and more for the first time. After the fair, the products are set to launch at retail across Europe and, in some cases, in Australia, Asia, Africa and Latin America. Toy manufacturer Bullyland has created a range of toy figures and keychains as well as gift and play-sets that will be available in Europe, Australia and Africa. The extensive Q Pootle 5 range by plush manufacturer NICI comprises not only stuffed animals and pillows in different sizes but also pencil cases, purses and all the gear required for an intergalactic menu (lunchboxes, drinking bottles, cups). International test sales of these items are initially planned in Asia and Latin America. “Q Pootle 5 is all about adventure and friendship," Julia Wurzer, head of brands at WDRmg. “We are over the moon at the reception Q Pootle 5 and his pals have received in Germany and around the world," added Ben Butterworth from Snapper Productions.